Rule changes announced in last year’s budget will affect unwitting VCT investors. Here Calculus Capital CEO John Glencross highlights questions which advisers and investors should be asking providers. HMRC does not give generous tax breaks without a reason, and the benefits associated with VCTs are undoubtedly generous. 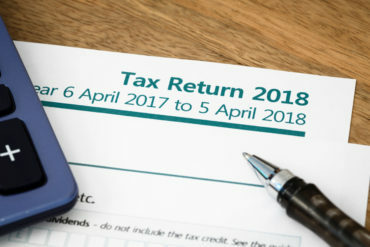 Income tax relief at 30%, tax-free dividends and a CGT-free exit after five years make VCTs an attractive proposition, particularly for those who have maximised contributions to their pension and ISA or whose pension is close to breaching the lifetime allowance. This rare government giveaway is designed to stimulate the flow of risk capital to promising small companies that often fail to scale up their businesses, not because of poor management or products and services, but through lack of growth capital and insufficient support and guidance. Unfortunately, many VCT managers used the structure to house low-risk asset-backed ventures (like solar farms, conference centres and private schools) and to fund management buyouts and acquisitions – these provided an easy source of low risk, cash-generative businesses that could help them meet their yield promises. In essence, they were receiving the tax benefits but not doing anything to support the businesses that the government wanted to help most. Not any more. Chancellor Philip Hammond closed these loopholes in last year’s Autumn Statement and it has had serious implications for some VCT investors and their advisers. Companies that built their reputations and business on the old model have now had to change direction. Last year some of them stepped out of the market altogether for a while to review their propositions. Some have had to upskill or completely replace their investment teams. They are now having to become experts in sourcing and developing smaller growth companies. We have been doing that for 20 years and have always been growth investors. We know what it takes to be successful and how to help small businesses achieve their potential. Is your past performance based on running asset-backed VCTs? Have you had to change your approach and your team because of the new rules? How experienced is your current team at identifying and nurturing smaller growing companies – and how long have they been in place with you? Do you do anything beyond offering capital to help develop an investee company? Feel free to call us or drop us an email to ask the same questions – we think you will be reassured by the answers. Calculus Capital is waiving initial fees of 3–5% on its VCT until 15 February 2019. The Calculus VCT aims to deliver an annual dividend of 4.5% of NAV.